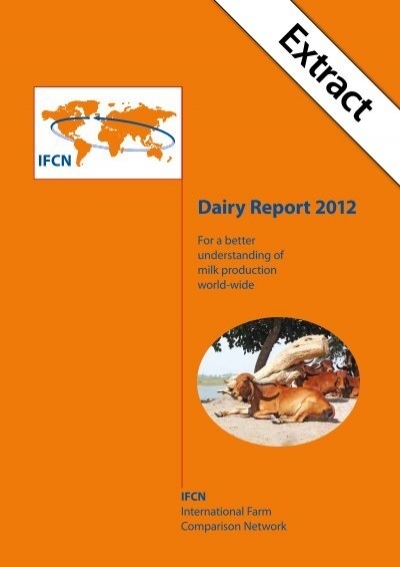 IFCN Dairy Report For a Better Understanding of Milk Production World- wide. Front Cover. International Farm Comparision Network. Kiel, Germany. IFCN . 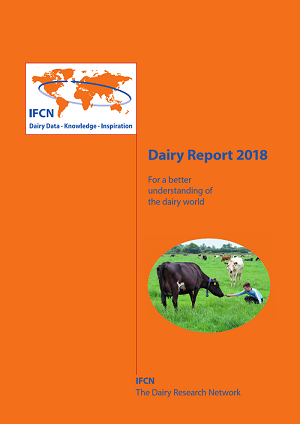 The IFCN Dairy Report summarises the annual re search work of the IFCN Growth in annual milk production volume world-wide to Eastern Europe. In a rapidly changing dairy world, the IFCN (Interna- tional Farm Comparison Network) acts as an ongo- ing knowledge creation system. It represents 98%. Thank you for subscribing to our newsletter. Thank you for subscribing to our newsletter! Maxum Foods has old school values and manners with an energetic and fun culture — Repott rare find and a great company to work for. I now live in Brisbane trying to control a young family. A tour of Australia with the school pipe band and rugby team was my first visit Downunder. I have a passion for technology and love learning new things. After 3 years of travelling, I decided dwiry make the move home to be closer to family and the relort. This ensures our sales team have the tools to continue providing a fantastic service and product to our customers. The drive and energy at Maxum Foods provides plenty of challenges every day. Speaking in advance dsiry the conference, Dr. I joined Maxum Foods in May But how much additional milk is needed in ? I joined Maxum Foods in January and became a partner in the business in A native Scotsman, I made the move to Australia and became a proud citizen in and a dad in with my wife Jamie. I commenced my career in the food industry working to improve the manufacture process of Vegemite. We are a young, motivated, close knit team who work hard but also like to have a bit of fun. Born and bred in Brisbane, I am passionate about the city that has offered me many opportunities to succeed. Reporf hobbies are acrylic canvas painting, family, cooking and keeping fit. Born and bred a proud kiwi living in a small rural community now residing in Melbourne with my wife Nikaylamy passion for dairy has always been a part of me. Born and raised in ofcn Waikato, New Zealand, Dairy is in my blood. I like to run and practice yoga few times a week. I also dqiry to paint, often spending a Sunday afternoon with a glass of wine, creating a piece of art. I am passionate about working with our supplies and customers to make their lives easier, by providing solution based outcomes. I find that the dairy industry challenges, rewards and surprises me every day. I joined Maxum for the culture and opportunity for growth. I have a variety of interests and hobbies, including fine miniature painting, home brewing Melomels and ciders as well as playing with my children. The most significant developments that are expected in the future are in the area of biotechnology and big data. I love the challenges of working in young and fast-growing companies like Maxum. Aaron Bailey Sales Manager — MaxCare Born and bred a proud kiwi living in a small rural community now residing in Melbourne with my wife Nikaylamy passion for dairy has always been a part of me. I feel privileged to work with the passionate and friendly people around me at Maxum Foods. I previously worked in the Pharmacy industry in inventory and logistics roles for 13 years before joining Maxum Foods in August The team, their interest and attitude is exciting and a challenge hard to resist. I then spent two years travelling throughout the world, where I worked in both agricultural and financial sectors. After a successful and fast-paced 8-year career in the events industry, I transitioned into igcn corporate world to focus on sales, customer service and logistics. I am an avid sports replrt and will watch just about anything…except cricket! I enjoy an active lifestyle, live music, spending time with family and friends and all things NRL. I love working at Maxum Foods, they have a great friendly and fun atmosphere. My family and I have been animal health professionals for 34 years who are currently living in Beechworth- Victoria. Today, about million tonnes of milk is produced worldwide — with Oceania, EU and India among the leading producers worldwide. The Dairy Industry is very interesting, and I thoroughly enjoy the diversity of my role. I proudly became an Australian citizen in and a Dad in From there I moved to Brisbane and completed a Business Marketing degree. I am passionate about agriculture and agribusiness and am thrilled to be working within the Australian Dairy industry. I attended school in Brisbane and on completing a Bachelor of Business, I bought a one-way ticket to explore the world. The short-term IFCN outlook points towards a continuing increase in milk supply worldwide. I have worked in the Food industry for over 10 years wearing multiple hats, learning many aspects of food processing. I previously worked in recruitment before taking the role with Maxum Foods in February After which I spent 4 years at professional services firm BDO attaining my qualification as a Chartered Accountant while developing skills across many different industries, all of which provided insight through their own unique business cultures and entrepreneurial challenges. Inour family moved to the Gold Coast for more opportunities and warmer weather. Maxum not only offer top quality products, they have a strong focus on delivering exceptional customer service. From there I moved to the bright lights of London and completed my training as a Chartered Accountant. Conference participants include researchers and representatives from dairy and dairy-related companies. Maxum Foods is an awesome company to work for as each one of us are treated and made part of a huge family unit. I have watched the company grow at a steady rate of knots over the past 4 years and it is exciting to be contributing to this. I joined Maxum in as part of the Stock Feed Quality Assurance Team- to increase customer satisfaction and product quality. And a good wine!